INTELITY™, the provider of the travel industry’s broadest enterprise guest engagement and staff management platform, announced today its complete hospitality platform is now incorporated into the $260 million expansion of San Diego’s Sycuan Casino Resort, which opens March 27, 2019. Through the INTELITY platform, guests at the new hotel will have access to the Sycuan mobile app, which provides mobile check-in/out, mobile key, and the ability to request amenities, book reservations, view current promotions, message with staff, schedule wake-up calls, control the in-room smart TV, access their own entertainment apps such as Netflix, Pandora, and more. These amenities and services will also be available on customized in-room tablets located in each guest room. The luxury casino resort, located east of Downtown San Diego, is in the final stages of the significant expansion, which includes the addition of a 12-story luxury hotel tower, a variety of new restaurants from fast-casual to fine dining, meetings and event space, a full-service spa, state-of-the-art fitness center and a pool and gardens area with a lazy river and swim-up bar. Additionally, Sycuan will have 60,000 square feet of gaming space for a total of 2,800 slots machines and 54 table games. “We’re pleased to have been selected by the team at Sycuan as it transitions to a true destination casino resort. 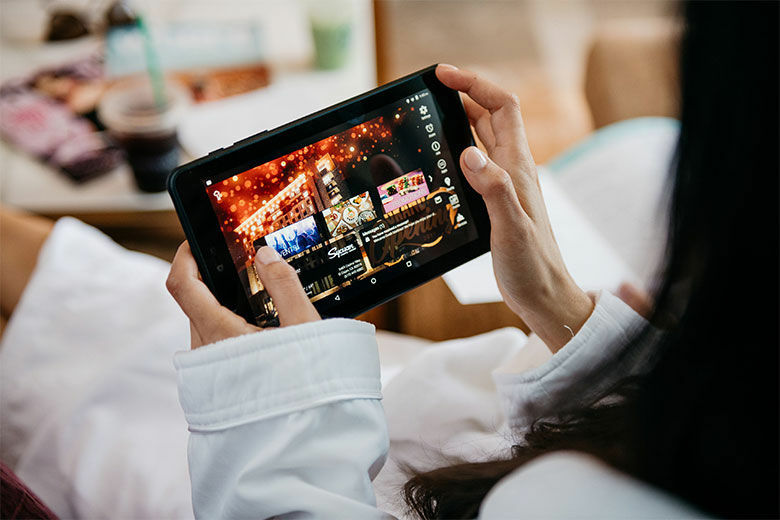 Casinos have recognized the need for technology that connects hotel guests with property staff and the casino floor,” said Robert Stevenson, INTELITY CEO. “We look forward to working with the Sycuan team in maximizing their use of the INTELITY platform to provide a superior and seamless guest experience. Staff will use INTELITY’s back-office platform, INTELITY Staff, to fulfill guest requests, process work orders, and monitor all staff and guest activity. In addition to improving efficiency in on-property operations, the INTELITY platform also provides rich data analytics that can be utilized to create relevant and targeted offers and promotions for guests. Sycuan Casino Resort and Singing Hills Golf Resort at Sycuan will be attending the National Indian Gaming Association Tradeshow & Convention (NIGA) in Booth #1202. Experience the INTELITY platform firsthand as a guest by booking your next meeting, tradeshow, corporate retreat, wedding or social event. INTELITY will be attending the National Indian Gaming Association Tradeshow & Convention (NIGA) in Booth #2509. To schedule a time to meet with INTELITY at NIGA, email demos@intelity.com. Sycuan Casino Resort began as a humble Bingo Palace in 1983. Now more than 35 years later, it has become a community landmark and one of San Diego’s premier casino destinations. Sycuan is currently undergoing a $260 million expansion project set to open March 27, 2019. Sycuan’s expansion features a 12-story hotel tower, a variety of new restaurants from fast-casual to fine dining, meetings and event space, a full-service spa, state-of-the-art fitness center and a pool and gardens area with a lazy river and swim-up bar. The project also includes expanding the casino floor space to include a total of 2,800 slot machines and 54 table games in a wide variety of gaming options. Sycuan is open 24 hours daily. For more information visit www.sycuan.com or call 619-445-6002. INTELITY is the global provider of the most advanced hospitality technology platform for the hotel, casino, cruise, and luxury residential markets. INTELITY offers its customers comprehensive end-to-end solutions to manage guest experience and staff operations, in a single platform. In 2018, INTELITY merged with KEYPR yielding a combined 15 years of hospitality experience, rapid growth, and the most complete hospitality technology platform on the market. For more information, please visit www.intelity.com.